Internal Combustion Engines, Power Plant Engineering, Tribology, Hydraulics and Pneumatics, Heat and Mass Transfer, Turbo machines, Fluid Mechanics, Basic and Applied Thermodynamics. Pulverized Coal-Fired boilers, Turbines, Electrostatic precipitators modelling and duct designs. Computational Fluid mechanics and heat transfer flow of industrial equipment’s related to thermal power plants. Prof. Arunkumar.K.H has a bachelor’s degree in mechanical engineering and a master’s degree in Thermal Power Science from Adichunchanagiri Institute of Technology (VTU), Chikmagalur. 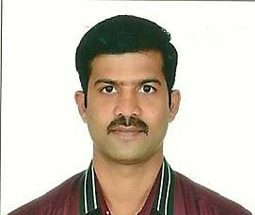 He is pursuing his Ph.D. from VTU, Belgaum and has submitted his research thesis on “Impact of blending Imported coal with high ash Indian coal on conventional boilers”. He has worked as Research Assistant at CGPL, Indian Institute of Science. He has also worked as an assistant professor at Dayananada Sagar group of institutions, Bangalore for two years and as Senior Research Fellow at Materials Technology Division of CPRI for four years. He has presented many papers in International /National Conferences and published papers in peer reviewed journals. He has filed three Indian-Joint patents with public sector NTPC NETRA, Greater Noida and Central Power Research Institute, Bangalore, Ministry of Power, Govt. of India.